Samsung set to launch the Galaxy S9 which will be the successor of Galaxy S8. The device has not been officially launched yet but it's been scheduled to be launched at Mobile World Congress (MWC) in February 2018. 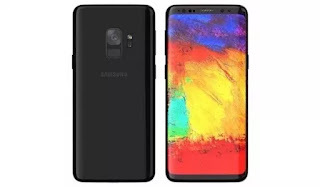 This is just a leaked specificatons of what you should expect on Samsung Galaxy S9 device. Some of the specs on this page may change once the official unveiling is made. Smartphone Price: Yet To Be Announced. It looks very exciting, let's see how it turns out. The bezel screen is very cool.